What if we took nothing for granted? Grateful Living a lifestyle that can result in greater ease, peace, compassion, and joy. This week on BetterWorldians Radio, we’re talking with Kristi Nelson, the Executive Director of A Network for Grateful Living, which runs the website Gratefulness.org. Nelson will discuss the benefits of Grateful Living and will tell listeners about the features at Gratefulness.org that can enhance the journey. Kristi Nelson is the Executive Director of A Network for Grateful Living, which runs the wonderful website Gratefulness.org. Kristi has spent virtually her entire adult life immersed in the rewarding work of non-profit leadership, fundraising, and organizational development. In a wide variety of roles, she has helped to lead, support and develop organizations committed to progressive social and spiritual change. Hi welcome to BetterWorldians Radio. BetterWorldians Radio is a weekly broadcast whose mission is to uplift and inspire you to make the world a better place. Im Greg Hansell joined today by my co-host MarySue Hansell. BetterWorldians Radio is brought to you by BetterWorldians Foundation and is Co-hosted by the family team that created the popular social game on Facebook called A Better World. It rewards players for doing good deeds while helping to raise money and awareness for charities. To date, over 40 million good deeds had been done in the Better World by more than four million people in over 100 countries. Good deeds include expressions of gratitude, acts of kindness, and sending get well notes to real world sick kids, just to name a few. This week on BetterWorldians Radio we welcome Kristi Nelson, the Executive Director of A Network for Grateful Living, which runs the wonderful website gratefulness.org. Kristi has spent virtually her entire adult life immersed in the rewarding work of non-profit leadership, fundraising, and organizational development. In a wide variety of roles, she has helped to lead, support and develop organizations committed to progressive social and spiritual change. Hi Kristi, thanks for joining us today on BetterWorldians Radio. Its such a pleasure to be with you guys. Thank you so much for having me. Well, as we mentioned before the show, gratefulness is one of our favorite subjects. Can you tell our listeners a bit about gratefulness.org and what it offers all the visitors? Well it offers a lot. Gratefulness.org is a website that was started, you know, probably about 14 years ago and under the auspices of a network for grateful living, So were an international network and we serve about a million people a year from all over the world. Weve got about 240 countries and territories represented. People would come to our website. So gratefulness.org, it offers a sense of community. I think thats the most important thing. Theres a lot of very specific features and tools but I would say that one of the most important thing the website offers is a sense of familiarity and comfort connectedness. The people who come 24 hours a day can read things that bring them a sense of feeling belonging to the world and a sense of being normal with their struggles or pain and reframe and they get perspective. Were big into perspective enhancement and helping uplift people in whole variety of ways. And of course, gratefulness and gratitude are major precepts and the things that are our operating principles, kind of our operating systems. I know that were going to talk about some of the features that we have there but the most important thing is the sense of belonging and the sense of possibility and opportunity in our lives. We do that through having forum where people gets to communicate with each other, through resources, and videos, and audio tapes that are really inspiring, audio sessions, clips. So we have e-courses, and we have a light a candle feature, words of the day, daily question, private journal, and theres all kinds of different level that which people join in and belong and some people are very active every single day and then some people comes once a week, and some people comes once a month. But quite a few people visit our website every single day as one of their communities and they try identifying community that they feel they belong to. Yes, thats wonderful! Theres lots of resources there. Anything that you really want and its very inspiring. Now gratefulness.org was founded by brother David Steindl-Rast. Can you tell our listeners a bit about brother David? Hmm. He is one extra-ordinary human being. He just turned 90 and he is a Benedictine monk who is a source of tremendous love in the world and is prolific as a writer and as a speaker. He has really dedicated his life as a Benedictine to interface dialogue. And so, its one of the thing which hes been known for. Hes won awards and gotten all kinds of prices and recognition for his work across all kinds of faith traditions and really seeking to identify and coalesce around what he would call those kinds of common thread to spirituality. The deep deep dive of all religion. He believes -- take us to the same place. One of those core places that we all arrive to the deep dive, through our spiritual lives and our religious lives is into that realm of gratefulness or grate-full-ness. Brother David still travels. He still writes. He has a TED talk that millions of people has viewed. Hes still is available for select kinds of workshops and stuff. Hes traveling less now that he is 90. He spends a lot of time doing writing retreats now because he really feels that thats the best way for him to continue to channel his teachings - is through writing and he is less interested spending his life traveling around the world. But we at archives, an online archive for brother Davids teachings, we have thousands of audio sessions, videos. We have his writings, his books, all of those are also available on the website, so in additions to all of the good things we have, we are also resource for Brother Davids teaching and intellectual property online. And then his archive is just donated to special collections archive in the University of Massachusetts. So, his intellectual property also exists there in a tangible form too so. You know one of my favorite clips is A good day. And I thought now might be a great time to let our listeners hear a little bit about Brother David and what he says about gratefulness. Its just, its just my favorite. You think this is just another day in your life? Its not just another day. Its the one day that is given to you today. Its given to you. Its a gift. Its the only gift that you have right now and the only appropriate response is gratefulness. Oh, that was wonderful. Youre Executive Director Kristi at Gratefulness.org. Has gratefulness always been a part of your life before you took this position? You know its a very good question. I think Ive always felt very fortunate and part of that I believe has to do with my family of origin and having us not take anything for granted in our lives. When I think about that question, I think about how I was raised. To not waste and to not feel entitled to any of the privileges. There was a sense of the blessing of having food on the table which is not something that we took lightly. We travel, my father was a professor, when we were young we travel overseas and my parents made sure that we got to experience lots of other cultures to recognize the privileges of our own. I think that that sense of relative context was very helpful for me in terms of living this very simple life. We were social activists. We were active against the war and the peace vigils and stuff when we were young. Our whole family went out on Sundays to do peace vigils, and so that sense of being engaged in the community and not taking anything for granted, even peace, but you have to work for things. That was really important in the kind of simplicity of life, value of community and value of social engagement. Those are really important. I grew up with valuable principles. Then, a very defining part of my life that was a deepening part of my life was when I was diagnosed with stage four cancer when I was 33. It was one of those defining times in life with me which faith in what was a sensibly an illness and a very poor prognosis for recovery and survival and 33 years ago with luckily 23 years, that was 23 years since I was 33 years old so the good news is Im still around. It thought me a whole other level about grateful living. It was a very spiritual experience for me, the sense of being alone with my own impermanence and recognizing that my life no matter what I was going to do, I was only temporary in the planet, no longer how long I was going to live. It put me right face to face at a fairly young age with that sense of mortality. That was a huge deepener for what we would call grateful living. That recognition of everything being transitory and how do you live fully into the blessing of each moment and opportunity of each moment. That was very accentuated for me from that cancer experience and then ever since. Yes, you have a lot to be grateful for. I wonder Kristi if you could walk us through a brief gratefulness practice. When we talked about gratefulness practices, we really do outright on the archives of Brother Davids thinking about the switch. It is everything that we do to deepen our sense of gratitude in the moment is wrapped around a three-part practice that we call stop, look and go. The components are all really critical. One is stopping is just pausing. Its that sense of becoming fully present. It is what we would call a mindfulness practice. Its really pausing, flowing down, breathing awareness of exactly where we are coming fully into our body, coming to full presence. And thats the stop part of anything that is going to lead us to gratitude. Its because we are usually so distracted in so many places at once in our experience. Its about coming fully here and now. Then look is about acknowledging our surroundings to look to to take literally, to take an inventory of what is around us in that moment, what is inside of us, what we feel, what we notice. And so, it is about that noticing, look, notice whats true and we can direct our attention. Just so we know how to direct our attention to things that are awful, we can direct our attention to typically and intentionally good things that are positive and so what am I grateful for right now? Well, Im grateful for the ability to be speaking with you. Right now, this is an incredible privilege. Im grateful for the fact that I can sit in this chair, I can move to the world. Start really inventorying those things that brings us a sense of what we are grateful for that we might not otherwise have. Sometimes, they are the simplest things. My ability to get up in the morning and walk on two feet, that I still breathe with my own two lungs, that Im able to be connected to people I love. And its starting to take everything out of the realm of taking for granted and into that realm of privilege or blessing or good fortune. That is a huge inculcation of gratitude or gratefulness. Then, the last step is go and we call that action. So we build awareness to acknowledge and acknowledgement to action. The go part is what you guys were talking about with your Facebook page where its not just sitting with your own recognition of what you are grateful for, its really doing something with that gratitude that makes a difference in the world and really its reinforcing into our own sense of living inside that precious niche of life is creating a ripple from that blessing or the fortune, whatever it is that we have that we notice. So, sharing that, doing something to take care of what it is that we treasure. So if you love the earth, doing something to protect the earth. If you love a person, doing something kind for that person. If you love your community, serving in your community. The go part is actually integral and really important philosophic pro- grateful living practice. Often, people stop at the looking and then they just go back to their life and they stop and they look at their self and they look. The going is what makes a difference in the world. Were a big believer in making a difference in the world like you guys are. Thats exactly right. We consider ourselves an engaged or an interactive mindfulness practice. Ive got a long history of mindfulness and work for a center for mindfulness and medicine healthcare and society that John covers in. Im a big believer in mindfulness and mindfulness has a really lived much more into the knowledge and the awareness of being present into our breath, we stay focus on her breath. WE really talked about directing our attention and having the ability to direct our attention toward that which possible, toward that which is serving us to notice that which is working well, and the power of that. Thats different. Thats more like what you would call kind of compassion meditation where its a directed mindfulness practice where mindfulness is really just about the non-judgmental presence in the moment and that recognition of being here and now. Were actually having people take one step further and then even one step further beyond that to act based on that awareness of what is good and what is working, what needs to happen in the world. Well talk more about gratefulness in just a moment but right now, we will take a brief break and tell our listeners a bit more about our game on Facebook called A Better World. A Better World encourages habits of goodness, positive mindsets and giving the social causes to make a positive difference in the world. Players do things like express gratitude, shares acts of kindness, send get well notes to real world sick children and more. You can find out more at thebetterworld.com So now, lets get back to our conversation with Kristi Nelson, the executive director of a network for grateful living which runs the website gratefulness.org. So hi Kristi, this is Greg. 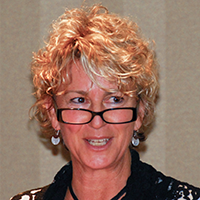 Its interesting hearing your conversation with MarySue especially that conversation on mindfulness and on that last go step that you talked about for mindfulness practice. To me, to think about that in terms of the difference you discussed in the website in terms of gratefulness from gratitude, you know how are they different and why is that important? Its a very fine distinction but sometimes the best thing or things in life are kind of finally distinguished you can yeah, good wine and make it a great wine. You know love and then you make it great love. Gratitude is really important practice and we really believe its important to be grateful and to express gratitude and to feel gratitude but I always talk about gratitude that gratitude is really transitory, that gratitude is a fleeting experience the way that we have learned, the way that we learn to experience gratitude is conditional so when something positive happened that I want or that I need or that I appreciate I feel gratitude. Thats such a wonderful thing! Oh, look how great that is. Then, you want that experience or that gesture to be repeated that you feel gratitude again. Gratitude to me in that way are much more transactional or conditional that of circumstances that lead us to having that momentary feeling of gratitude. Yey! I got exactly what I want. I should be grateful for that. We really think of gratefulness and we design it as much more the underpinnings of all of that is a precondition. You feel grateful before anything happens so you feel grateful not just for the things and then everything else is an icing on the cake. So if you can wake up in the morning and feel grateful for the gift of life, as brother David said in the good day as you guys have shown and shared with people. We can be grateful for all of these things that we take for granted and its about actually seeking out and noticing how much there is to be grateful for, there are much more proactive engaged stance rather than looking for, waiting for, that kind of thing. Oh, thats going to inspire gratitude in me. I think in a consumer society where we were used to receiving what it is that we want or not receiving what it is that we want, gratitude is kind of a sickle fragile friend. Gratefulness is a really steady deep friend and its something that we can carry with us all the time because we are always thankful for the gift of the moment, the gift of life, the gift of the opportunity that presents itself, even if our condition then our circumstances dont inspire that traditional gratitude. Do you understand the difference that Im trying to connect there? I do. I think its really essential. What Im hearing you say is that gratefulness is really a lifestyle and a way of being in the world, not to change how we look at things and how we experience life itself, if Im hearing your correctly. Thats exactly right. Thats exactly wonderful way to sum it up. And thats a huge distinction. Gratitude being much more passive and transactional, right, that there is a way that you could have so much more agency in your life if you see that as a way of being versus someone that comes into your life in certain moments. I think thats an important differentiation. Its so easy to be grateful when things work out right, but its so different to say Let me be grateful for life itself no matter what is happening, maybe even in the face of some difficult things because I am here. Especially in the face of difficulty. Exactly. So Im curious, you have all these amazing features of the site that Im hoping to discuss. I mean we can talk about them in terms of how they help inculcate this grateful living, this ongoing sense of gratitude. One of them is the candle lighting feature on gratefulness.org. Im wondering what is the importance of engaging in a meaningful daily ritual like that? Well, we know from a lot of resource in science now how important daily rituals are, right. So there are mediational practices, the things that we do that make us slow down, the things that give us a marker in each day. Our light a candle feature has been around since the beginning of the website and we have now over 20 million candles that had been lit on our website which is extraordinary. And that again, people all over the world, all languages its translated to many different languages. The light candle feature is important for different people for really different reasons. I dont want to generalize here because I think its interesting. Lighting a candle for some people is a deeply religious experience for them. For some people, lighting a candle is inserting a sacred moment in the day just to be intentional to send an intention to someone else to make a wish for the day for ourselves, to say a kind of prayer or mediation. The candles across all kinds of spiritual and religious traditions have different significance. Whats nice about this is that they are built to be very generic but also gorgeous and very meaningful that they can apply to people from all different kinds of faith backgrounds and secular backgrounds alike. People go on, you can take a minute to stop, look and go basically. We encourage people to take a few deep breathes to really rest in to your intention for being there. Its about a three-minute ritual that again, thousands of people every single day light candles on our website. Especially I think it is incredibly useful for people who have experiences lost, they serve a lot of caregivers and a lot of people who are ill, who are putting up blessings and wishes, and prayers and hopes for people who are ill. Then also people who have lost a pet, children, parents. Whenever there is a big tragedy in the world, we often, we post our light a candle feature on Facebook and we have a huge surge and numbers of people whenever there is a bombing, whenever there is violence that really strikes at peoples hearts. Its very comforting to go in a community of people and light a candle. Its a wonderful gift that we can give yourself. Yeah. I think its very powerful. I know for myself and my own spiritual life, lighting a candle is always the first thing I do. I think one of the remarkable things about the fact that there are thousands of people a day in gratefulness.org that do it and there you said over 20 million so far that it shows you and weve seen this too with our game in Facebook, it shows you that lighting a virtual candle can still be very powerful. Doing things in the virtual world doesnt mean that they are divorced from the real world. It can actually be an enhancement. Its wonderful that you have that experience. Yeah, usually so. I think the more and more we get notes and letter from people who say Im disabled and I cant leave my home to go to church, this is the greatest comfort to me, or you know Im sick and I would love to be able to do something, or I am confined to bed and so there is this huge It feels like an online they call ourselves an online sanctuary and it feels like youre actually at an altar of some kind when you light your candle. We try to make it as real world as possible. So thank you, yeah youre right. Its way beautiful. So, another feature on the site is the daily question. It talks about reflecting on the gifts of ones life every day. Why is that important for grateful living? Well, just like we said. You know having those reflections which makes us not take anything for granted. Were subjected in our lives so many messages in the news and in the media and so many opportunities to see a lesson, to compare ourselves, to covet. Our questions are really designed every single day to hold a question and reflection that helps you take stuck of what is working in your life, what you have to offer the world. A lot of it is about how can you be a servant. What are the gifts? How can you teach them one? What do you learn from something? What do you learn from that action? What are the privileges? Its so natural for people, they actually love the ability we all do to reflect on whats working. We dont get many opportunities for that. We have our daily questions go up in Facebook. Its also every day on our practice portal on the site and people respond to each other, people reflect, and they respond to one another and also to provide in, theres a private journal which you can write in and if you want to reflect privately thats something nobody else can see. Theres a gratitude journal on our site thats connected to the daily question and words of the day. Yeah. You know that is really interesting. Youve got me thinking about not only how important it is that you give people an opportunity to share whats working but how its unfortunate that we dont have the opportunity across the different groups in our society that are at each others throats these days or even in the world at large. We dont talk about hey what is working? What is better than it ever has been for? Theres a lot of things. There really are. Instead, were encouraged to kind of focus on whats broken and whats wrong with our opposition. Exactly. There is so much fractiousness, were exposed to that on so many levels. We also once a month have a feature called grateful news, those are news to be grateful for. There is an abundance of that but you have to go searching for it, so we started to raise a small collection every month and wished up the headlines or stories that inspire us and gives us reasons for hope. There is a lot of it out there that is really hard to find so we do that every month as well. I love that. So much online that makes you happy, its fleeting. I dont want to disparage it. You know a cute picture of a cat or a dog or a child it makes you smile but there are deeper things out there that can make us smile too and give us reason to be hopeful like that kind of grateful news that you share. I love that. Yeah. I also saw that visitors of the site can send gratitude e-cards. So why is it important to express caring gratitude to different people as part of grateful living? Youre making me smile asking that question. We know that its one thing to feel gratitude if youre grateful and its another thing to share it. It makes a huge difference and so again how do we share kindness, how do we share appreciation? We have hundreds of free e-cards and they are designed thoughtfully to reflect our values and beautiful quotes and beautiful images. We just love to encourage people to get on there and how does it feel to receive kind words from somebody. I mean we all know that inside our own hearts and yet we forget how easy it is to take that action every single day. I mean I think it would be a great practice and one that we are thinking of doing last year actually around thanksgiving to send an e-card each day to somebody in your life either an old friend. We have different kind of categories that we encourage people to send it to. Somebody who you dont know that well orBut to send an e-card to someone every single day and the feedback loop, what that does both to your heart just from the act of sending it, to that person who receive it and how that changes their life and then the feedback that comes back to you, sometimes from that person who is so appreciative for the kindness and so again, thats the go part of stop, let go. Its wonderful to stop and wonderful to look and it really is important to go and view something with that feeling of gratefulness that you have in your life. Yeah, especially for people who are suffering. As you guys say in your Facebook campaign that you can send a card to a real live person whose young person whos dealing with illness and looking that or more than that you know. Yeah. No. Thank you for saying that. Weve had the opportunity to send these thousands if not millions of get well cards to kids recovering from hospitals from various illnesses and emerging world. Often times, its true that these are kids youve never had a kind word spoken to them because they live in communities where they are treated as outcast because of their disabilities. And so, when they get thousands of get well notes from people saying Hang in there and get well just these little moments of kindness, it can feel like overwhelmingly positive and so weve been blessed to have that opportunity. So thank you. Thats a great service that you provide. Thank you for doing that. Thats fantastic. We have e-cards in all types of categories too so if you guys if you just want to go on there and see they are lovely and really inspiring. They are for get well kinds of things and thank you and congratulations and all that kind of stuff. For sure they are really really beautiful cards so I encourage all the listeners to please go check them out and send them. I think that go step that you share is so essential because you know I mean not to you as a clichéd phrase but it does really pay back gratitude forward, right, because it puts this gratitude thats in your heart into someone elses and puts them into place and do that to someone else as well. Obviously, as youve talked about thousands of people a day are visiting gratefulness.org so to me that says people are really yearning for gratefulness, what do you think? What does it tell you? We are all as human beings, I think pretty desperate these days to feel the ability to look at what we have and not what we dont have, especially that we live in a culture which encourages all the time to feel deficient and so were all about taking stock of what is available to us and the opportunities that are presenting themselves to us. I think people are just really desperate for that. I also think as I said before perspective enhancement, sometimes we get myopic, we get lost in suffering, we get lost in our doom and gloom kind of an attitude, whatever it is there is lots of things that impact us and that when we tune it to our communities of people who are refraining our experiences its really uplifting and there is a big longing for that. I also think we need nourishment. Part of what we offer I think more than anything is the sense of nourishment for the soul, nourishment for the inner life without it meaning to be over the spiritual or religious or anything. It really is about nourishing and fortifying our inner life to be able to go through life in this way and to bring our best selves forward in service of other people and service of our work and what the world needs. I think there is a deep longing for that and were seeing it and hearing about it every single day. I have no doubt and I think especially people who are ill, people who are struggling and people who are caregivers of those who are ill and struggling which is almost all of us, you know and one of those roles in many different ways or many children, with parents taking care of people. We need to feel sold up and so were a source of selling people up. Were kind of the well that people come up to when they are all low and dry. Obviously, that well, that nourishment is in huge service and I hate even calling it a service but its a service that needs support I imagine from the public, how can people support gratefulness.org? We are donation driven and we have lots of people who support our work through monthly donations and small donations. We call it our sustain our circle and many many people doing small donations really adds up and its wonderful. Then we also have some foundation partners and some companies that support us but people giving monthly is really beautiful because that video clip that you played a little bit the audio of the day, some people come every single day, its five minutes long. And they watch and listen to a good day every single day. They send e-cards every single day and they do the word of the day practice and the daily questions, the journal and light candles. And so, what they do is they give back $10, $20, $40, $50 a month and say this is like they are nourishing that which nourishes them. This is kind of their soul food in a way. Thats a really nice way, and its reciprocity and its not transactional. Its just more a sense of we nourish that which nourished us. So, its a beautiful thing. We have a small staff and a small budget and we love what we do and were sustained by the love of our community. Thats it. I have one last question, thats a question I try to ask every week to every one of our guests. In this particular case, how do you hope gratefulness.org is helping to make the world a better place? We really believe at the core that gratefulness that when we are full of gratitude for what we have in our life and see life as a gift, that were much more capable of being generous and kind to those whom we encounter, those who we know and love, and people who we dont know and love, people who are like us, and people who are not like us. And so, grateful living, the act is kind of embodying gratefulness is absolutely a sure-fire way in our estimation to bring in grater peace to the world, to bring in more respect to personal relationships and social relationships, to enhancing a sense of belonging and the world on which we belong to that sense of were inextricably tied to each other and thats interdependence that we all enjoy. It makes us treat one another better. When you are grateful for something, you want to preserve it, you want to nourish it, you want to treasure it. So increasing that sense of gratitude and gratefulness for what there is. If you are grateful for the earth you want to take care of it. If youre grateful for the people you want to protect them. For us its a precursor, its an underpinning, its kind of a no brainer that when we can be in touch with that grate fullness for life, were much more likely to be agents for the best of what the world needs or what other people needs from us. I think thats perfectly stated. 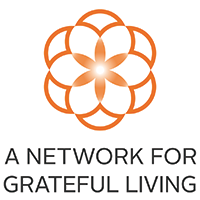 So, everyone at home, you can learn more about the network for grateful living at gratefulness.org. Kristi, thank you so much for joining us today on BetterWorldians radio. I had such a great time I dont want to leave. Thank you for having me. Its our pleasure. Its been a wonderful conversation. I hope we can get to connect again soon. Thank you. I do too. Thank you all so much. BetterWorldians Radio is brought to you by BetterWorldians Foundation, the 501 C3 non-profit whose mission is to make the world a better place by encouraging the very best in every one. Our philosophy is that its as important to plant flowers as it is to pull weeds. We focus on positive thinking, positive values and positive actions. In short, our vision is to bring out a BetterWorldians in everybody so that we can all make it a better world. We cant do it without your help, donations support our BetterWorldian Radio podcast as well as go to our developing new features like articles, videos, blogs and more. We need the help of BetterWorldians like you to ensure our missions success and future. Go to BetterWorldians.com to be in part of this important mission. Until next time, please be a BetterWorldian.